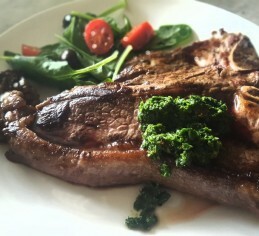 (And if it’s help with other cuts you’re after, see the rest of my “Cooking with” blogs. Silverside, Topside Steak, Chuck Steak and Bones – with other cuts to come in later blogs). 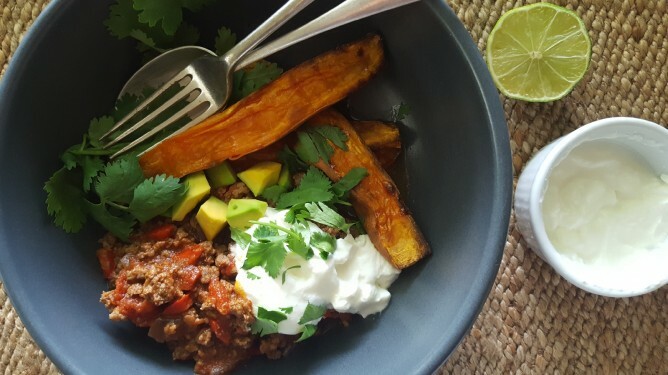 The sweetness of the roast sweet potatoes and the coolness of the yoghurt that can top this Mexican Mince are the perfect accompaniment to the spices in the mince. Also, I love a meal where the things that top the dish can be placed on the table in bowls when the meal is served – the avocado, the yoghurt and the coriander. It feels more communal as the bowls are passed around and it makes dinner more fun for kids as they assemble their own meals. So, following is the recipe; I always measure out all the spices together into a dish before I start. They can then just be popped straight in the pan as you’re cooking. So give it a go, this recipe is easy – you’ll be great! Clean the sweet potatoes and slice them into quarters longways. Drizzle with olive oil. Bake for around 30 minutes or until soft. Place oil in large pan on medium high heat. Add diced onion and capsicum and cook until soft. Push to the side of the pan, turn to high and add the mince. Cook and stir until brown, then bring the capsicum and onion in from the side of the pan to combine with the mince. Return heat to medium. Stir in the garlic, herbs and spices and cook for a couple of minutes. 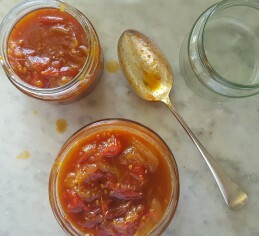 Add the tinned tomatoes, tomato paste and stock. Add sea salt and grind in black pepper. Bring to the boil and simmer gently for 15 minutes. Keep warm until the sweet potatoes are cooked. Take a bowl and mash the avocado with a fork. Squeeze half of the lime into the avocado and add some sea salt – mash together. To serve, place 2 pieces of sweet potato on each plate, arrange beef mince next to it. Place bowls of the avocado mix, Greek yoghurt and chopped coriander on the table to serve. 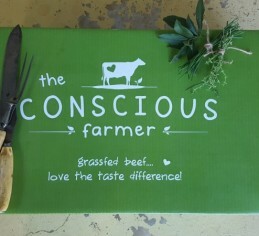 If you’d like to get the best health and taste from this meal (and others) – choose 100% grass fed, chemical free beef. You can see our range of hampers (which include mince) at this link. 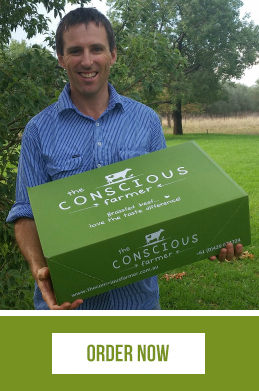 You can also add our extra virgin olive oil to your order – also from our farm!